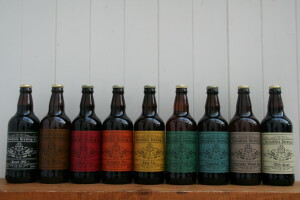 The Incredible Brewing company is a small family run brewery in Brislington, Bristol. We began producing commercially in Sept 14 and brew unique batches of fine experimental craft beers and exotic traditional recipes. We aim to bring variety and character in the flavour profiles of the beer and hope to challenge perceptions of what beer should taste like enhancing bold interpretations. Our beer is crafted using the finest of ingredients. No additives are used in the production so it is a completely natural product. Our beer is a modern expression of place and tradition . A gift from time honoured cultures. This entry was posted in Drinks, Keynsham, SFM@Frome Independent. Bookmark the permalink. Both comments and trackbacks are currently closed. Thanks to Annie Young, Chris Body and Jenny Francis for the photographs, and Louise Hall and all the Somerset Farmers' Markets producers.